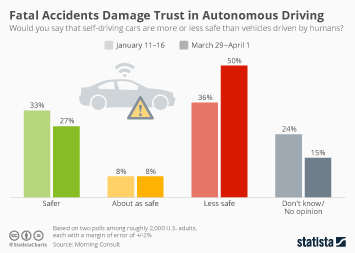 Following two fatal accidents involving (partially) autonomous vehicles in March, Americans are increasingly concerned about the safety of self-driving cars. 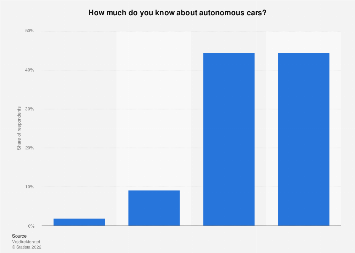 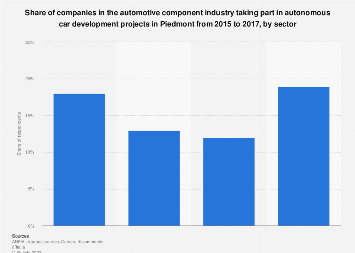 According to two independent polls conducted by Morning Consult in January and in late March/early April, the percentage of Americans thinking that autonomous cars are less safe than vehicles driven by humans increased from 36 percent to 50 percent. 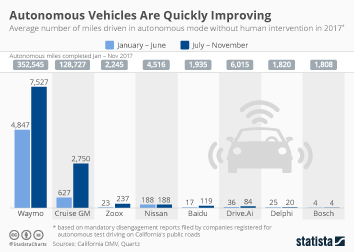 Despite the fact that people are killed in road traffic every day – the National Safety Council reported more than 40,000 motor vehicle deaths in 2016 – every accident involving autonomous driving technology understandably receives an extra amount of public scrutiny, especially when it’s the first to involve a pedestrian being hit by a self-driving car. 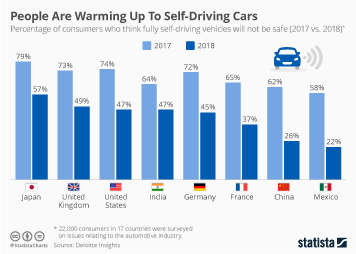 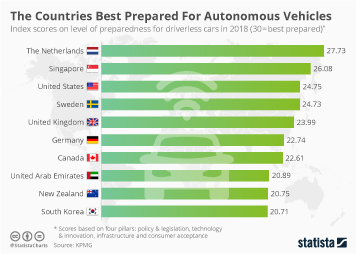 As an earlier survey showed, safety and the relinquishment of control are the biggest concerns consumers have with respect to self-driving cars, which is why any accident involving an autonomous vehicle will attract a lot of attention and has the potential to be a major setback for the technology in general. 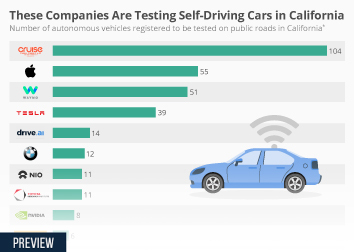 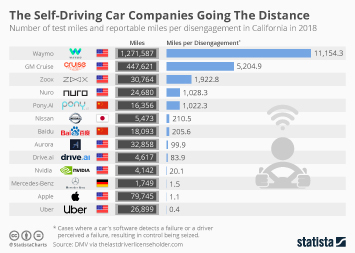 This chart shows the results of two surveys regarding the safety of self-driving cars. 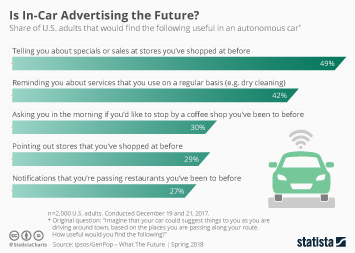 Is In-Car Advertising the Future?